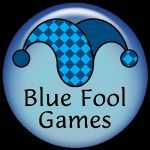 Independent board game and card game designer, focusing on casual games with a focus on educational, historically-researched, entertaining games. If you want to support my dream, please check me out on these other pages. Thanks!